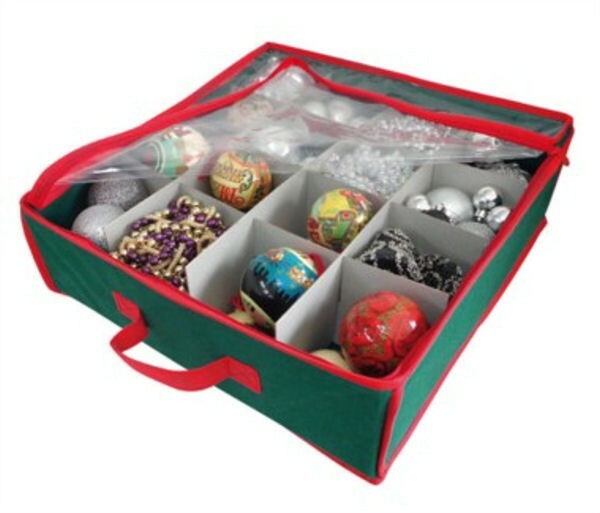 The perfect solution to keep your baubles and tree decorations clean , safe and together. These breathable fabric bags feature a twin zip closure for easy access and a transparent lid so you can see the contents. Once open cardboard dividers split the space into 16 separate compartments to keep things tidy and secure. Not only useful for when dressing the tree but ideal to store decorations until next year.